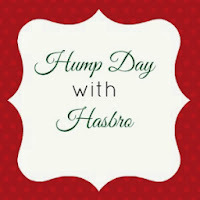 This amazing toy is a definite on my holiday gift guide. 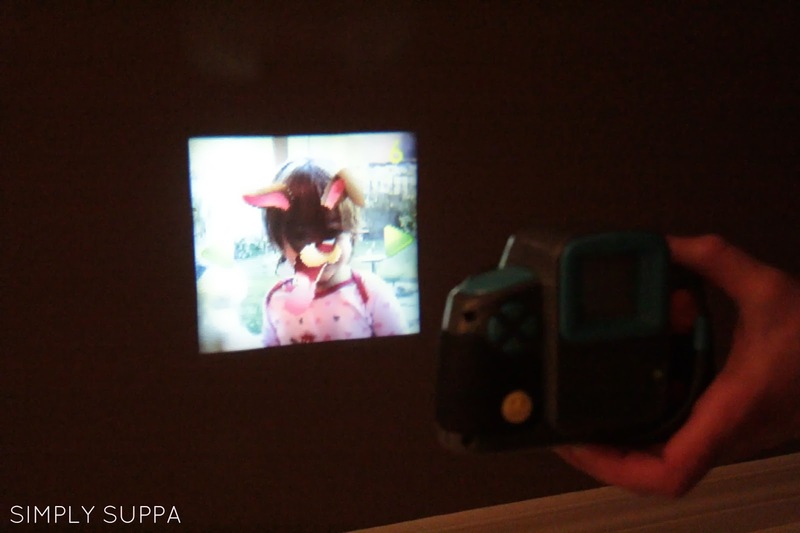 It's a digital camera for kids that can take and hold more than 1000 pictures, add funny and silly effects and sounds and bam!, project them onto the wall for easy viewing. 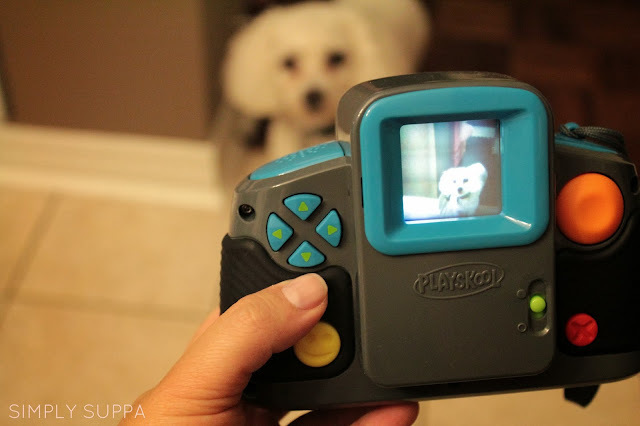 The camera is very easy to use for kids, with soft buttons and a large, 1.75" screen. Push the orange button to take the photo and the red X to delete. To project on the wall, flip the lever, turn off the lights and you have your very own viewing studio. 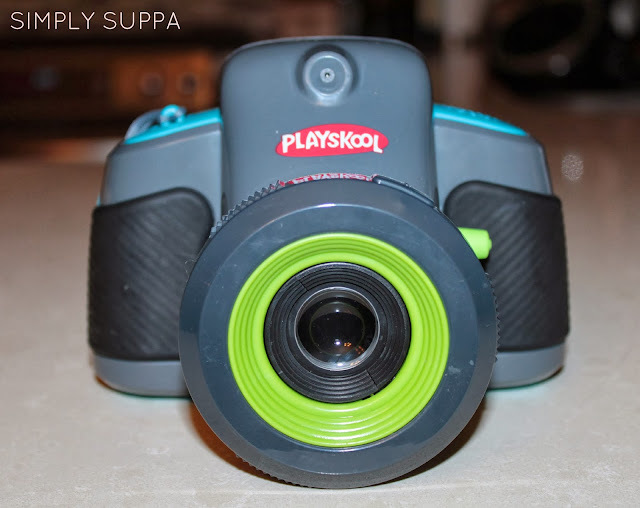 The Playskool Showcam runs on 4 AA Batteries and retails for $79.99 in Canada. If you're looking for a gift for that creative kid on your list, I highly recommend it. The Showcam is recommended for kids 3+, but works for toddlers who like to play with technology too. Disclaimer: I received product to review. All the opinions expressed on my blog remain my own.